RUSH: I want to play some sound bites of President Trump today with the nation’s governors at a working business session with them at the White House. And we have three bites. And in the first one, here is the president saying that if Congress doesn’t ban bump stocks, then he will. THE PRESIDENT: Bump stocks, we’re writing that out, I’m writing that out myself. I don’t care if Congress does it or not. I’m writing it out myself, okay? (applause) You put it into the machine gun category, which is what it is, it becomes essentially a machine gun and nobody’s gonna be able to — it’s gonna be very hard to get ’em. So we’re writing out bump stocks. RUSH: There you go. Is that how we do it here, the president just writes it out? “If Congress doesn’t do it, then I’m gonna do it. I’m just gonna write ’em out.” I know. It worked for Obama. I mean, there were some objections to it from quarters like this one when it happens. But this is, hey, Congress, you’re not gonna do it, I’m gonna do it. Well, hey, why don’t we do that with DACA? At least that’s unconstitutional? Why are we worried about the courts? Why don’t we just end it? It’s unconstitutional to begin with because of Obama. The whole DACA thing is unconstitutional. We don’t need to wait for a court to say so! We know it! It is! But that March 5th deadline that’s gonna come and go with nothing done on it because the Supreme Court refused to hear the Trump administration’s request to strike it down. The Supreme Court said we’re not gonna do anything on that ’til it’s gotten to a lower court. We’re not gonna leap frog the appellate levels here. So that’s being reported as Supreme Court tells Trump to pound sand on DACA. The Supreme Court did not issue a ruling on DACA up or down. They just said that it’s too early for them to take the case. Next is the president commenting on the performance of the deputies, deputy sheriffs in Broward County. THE PRESIDENT: We have to take steps to harden our schools so that they’re less vulnerable to attack. This includes allowing well trained and certified school personnel to carry concealed firearms. At some point, you need volume. I don’t know that a school is gonna be able to hire a hundred security guards that are armed. Plus, you know, I got to watch some deputy sheriffs performing this weekend. They weren’t exactly Medal of Honor winners. The way they performed was, frankly, disgusting. The way they performed was really a disgrace. RUSH: It’s a disgusting disgrace, was what it was. Somebody needs to tell Trump about the PROMISE Program and really set him off, when he finds out that money is being paid for this kind of lax behavior. In fact, maybe that’s the way to do concealed carry. Pay the schools for everybody they hire. If that’s the way we do it, the federal government reimbursing everybody for what policies they want implemented. 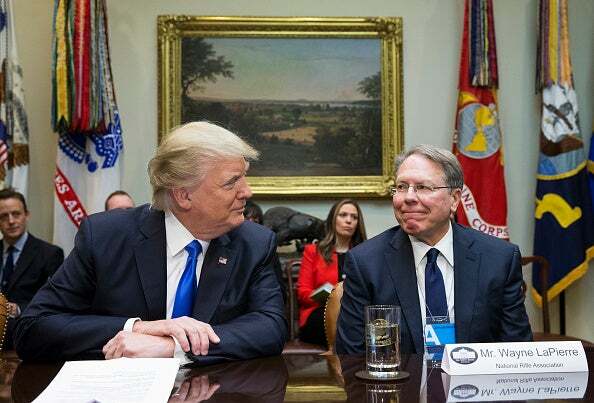 Finally, Trump said he had lunch with Wayne LaPierre and the NRA and told them that they’re gonna do something, too. 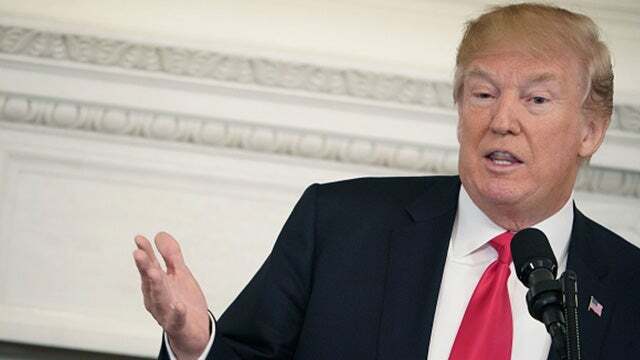 THE PRESIDENT: I had lunch with Wayne LaPierre, Chris Cox, and David Lehman of the NRA. And I want to tell you, they want to do something. I said, “Fellas, we gotta something. It’s too long now, and we gotta do something.” And we’re gonna do very strong background checks, very strong. Gotta do background checks. If we see a sicko, I don’t want ’em having a gun. I said, “Fellows, we can’t do it anymore.” And there’s no bigger fan of the Second Amendment than me, there’s no bigger fan of the NRA. And these guys are great patriots. They’re great people. And they want to do something. They’re gonna do something. And they’re gonna do it, I think, quickly. RUSH: (laughing) It sure as hell sounds like they’re gonna do something whether they know it or not. They’re gonna do something, they’re gonna do it quickly. We’re gonna have the greatest background checks in the world, greatest background checks ever. Somebody needs to tell the president why some of these perps are not in the background check system. And that would be the Obama-Eric Holder PROMISE Program. He told the NRA that they’re gonna do something. What is this, we gotta something? See, this is what happens. We gotta something. We gotta something. We don’t have to do something. You know, all of this pointing fingers the NRA, it’s the easy way out, it doesn’t accomplish anything. The NRA is not responsible here. This is so obviously, crassly politicized now. And this is another thing about our society that really bothers me. People have been conditioned to demand and support so-called changes that do something that don’t do anything. There weren’t any bump stocks used in this incident in Florida, so getting rid of bump stocks, fine and dandy, it isn’t gonna change what happened down there. And there’s nothing the NRA could do that would have changed what happened in Florida. They had nothing to do with it. Like some guy designs an airplane that won’t fly. Would we turn to him and say, “Fix it”? No. We’d go find somebody who knows how to design one and use him or her, whoever it might be. Okay, well, that’s that. I just wanted you to hear — the president obviously has seen the internal polling. The internal polling on this must be bad, wouldn’t you say, Mr. Snerdley?